The House Legacy Finance Division Wednesday approved an omnibus bill that would grant $629.98 million in the 2020-21 biennium to the Clean Water, Parks and Trails, Arts and Cultural Heritage and the Outdoor Heritage funds. The dollars come from the constitutionally dedicated funding source established when Minnesota voters approved the Legacy Amendment in 2008. Sponsored by Rep. Leon Lillie (DFL-North St. Paul), HF653 as amended, in part, by a delete-all amendment, was sent to the House Ways and Means Committee. The Senate Environment and Natural Resources Policy and Legacy Finance Committee started markup of their omnibus bill Wednesday. Sen. Carrie Ruud (R-Breezy Point) sponsors SF836. $101.26 million for the Parks and Trails Fund. All figures above are for the 2020-21 biennium, except for the dollars granted to the Outdoor Heritage Fund, which receives annual funds based on recommendations from the Lessard-Sams Outdoor Heritage Council. Several testifiers thanked the division for the funds allocated to their organizations, including Greg Lais, founder and executive director of Wilderness Inquiry. He noted that the number of Minnesotans who are hunters and anglers is declining, and there’s a need to promote other outdoor activities to younger generations. “I think we are moving the dial on this issue and figuring out new models on how to engage kids,” he said. 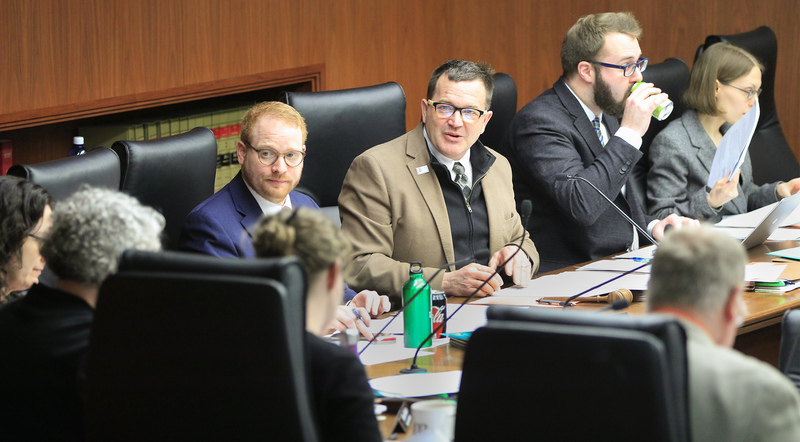 Green wants to ensure state agencies and departments use Legacy funds to “supplement, not supplant” money appropriated them from the state’s General Fund through the traditional biennial budgeting process. The Legacy Amendment is funded by a 0.375 percent addition to the state sales tax that will continue until 2034. The Clean Water Fund and the Outdoor Heritage Fund each receive 33 percent of Legacy funds, while the Arts and Cultural Heritage Fund receives 19.75 percent and the Parks and Trails Fund 14.25 percent.